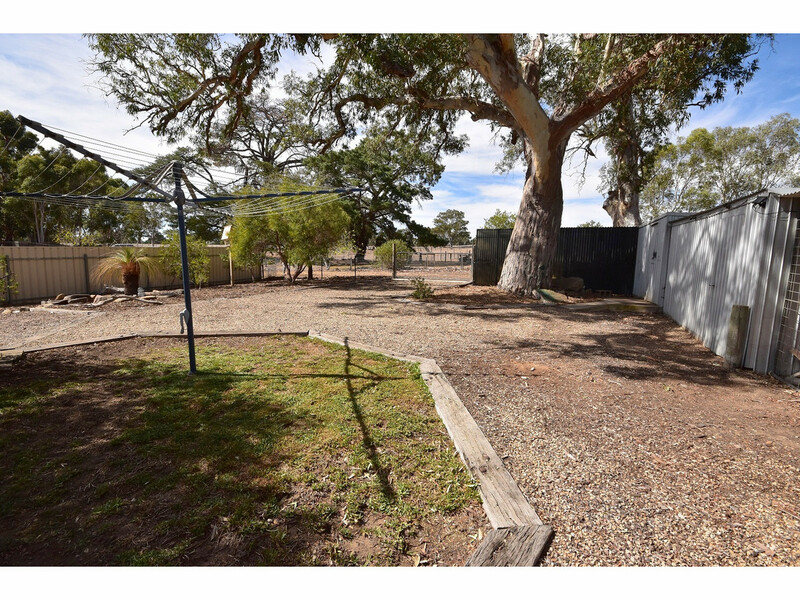 Large 1/2 acre allotment on a no-through road. 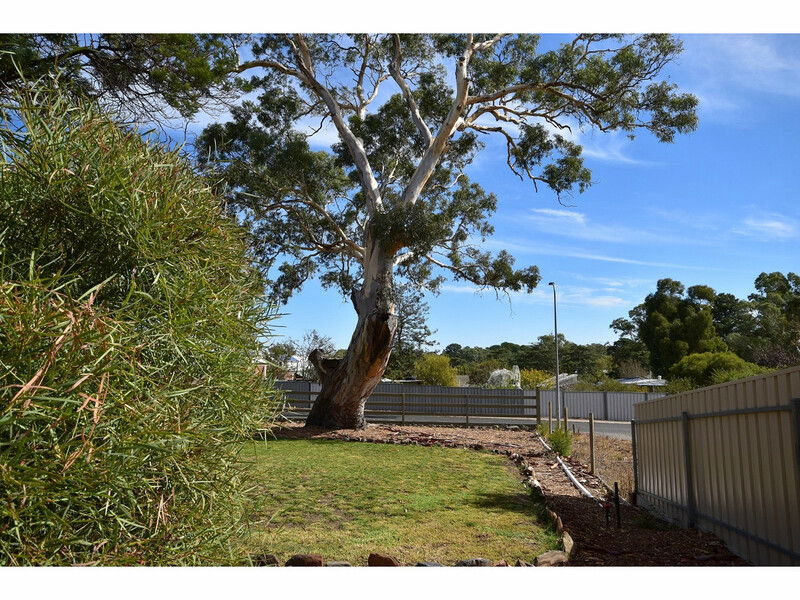 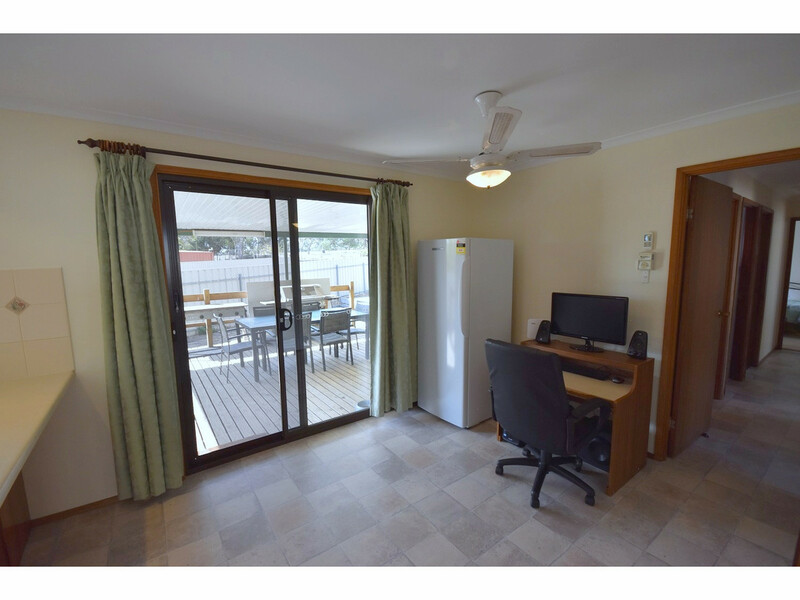 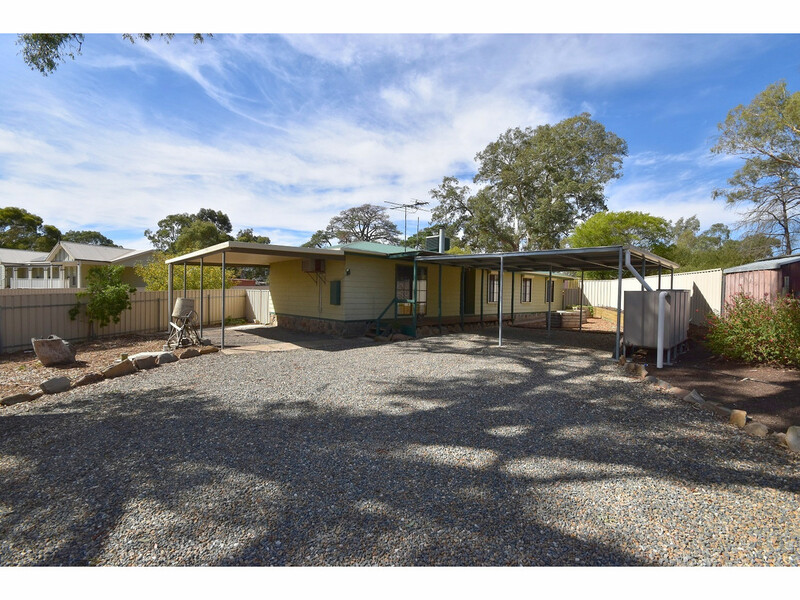 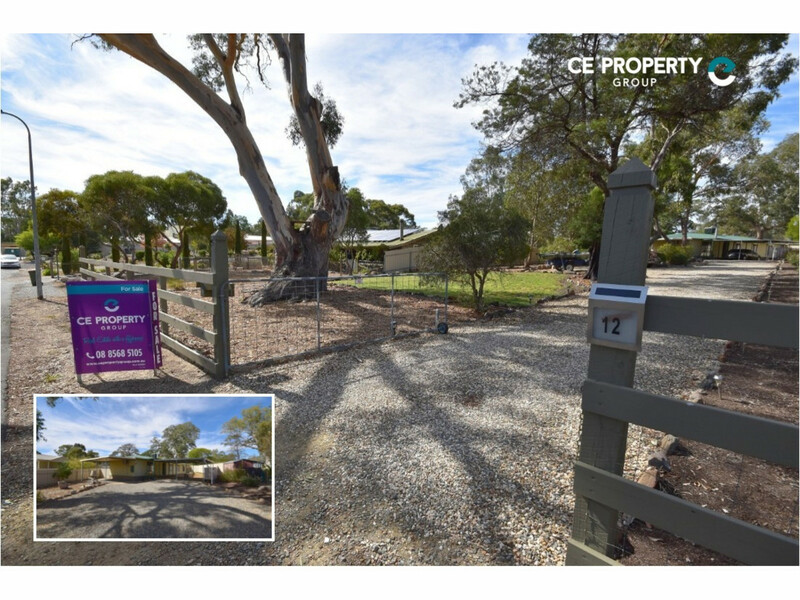 Walking distance to the town’s facilities which include a general store, primary school, bakeries, chemist, hotels, library, hospital and more. 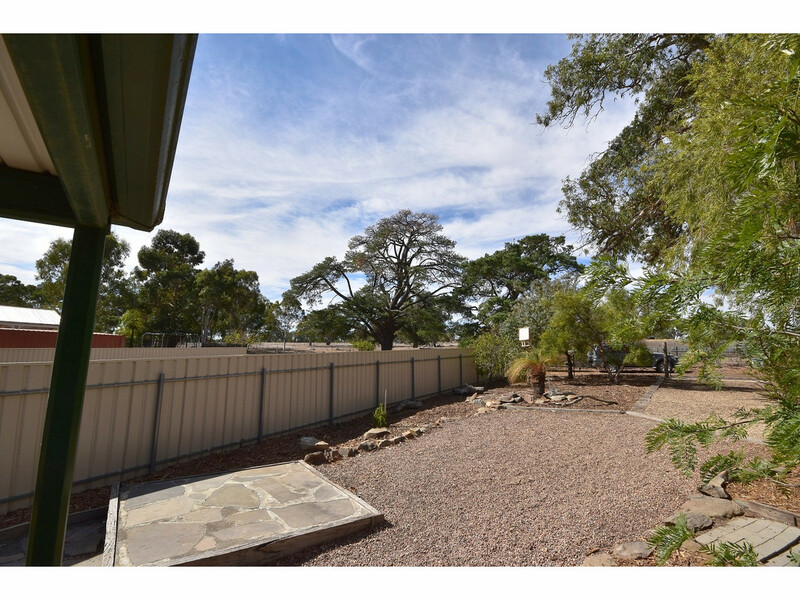 LAND: 2,023m2. 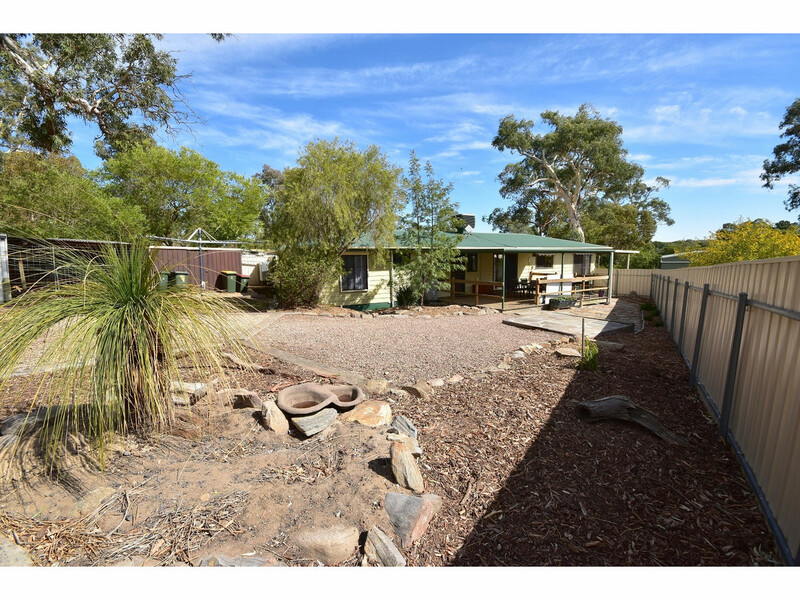 The residence is set well back on the allotment. 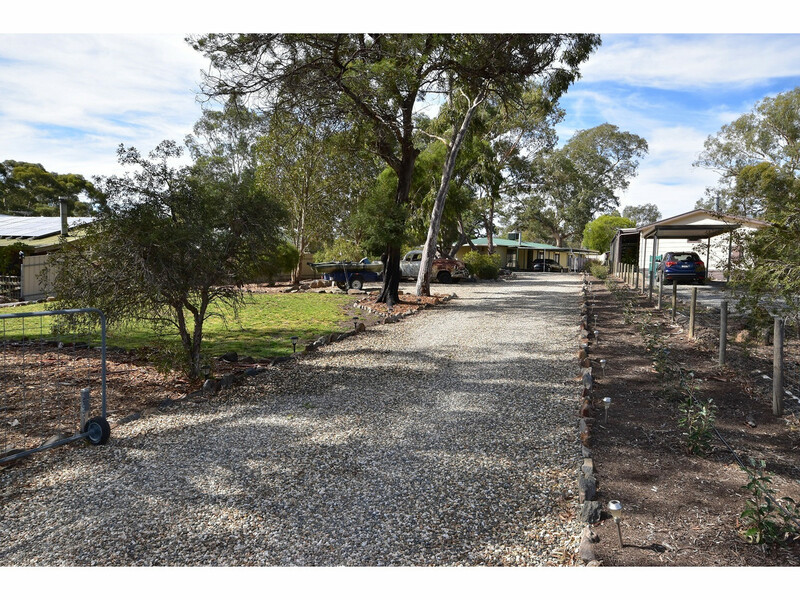 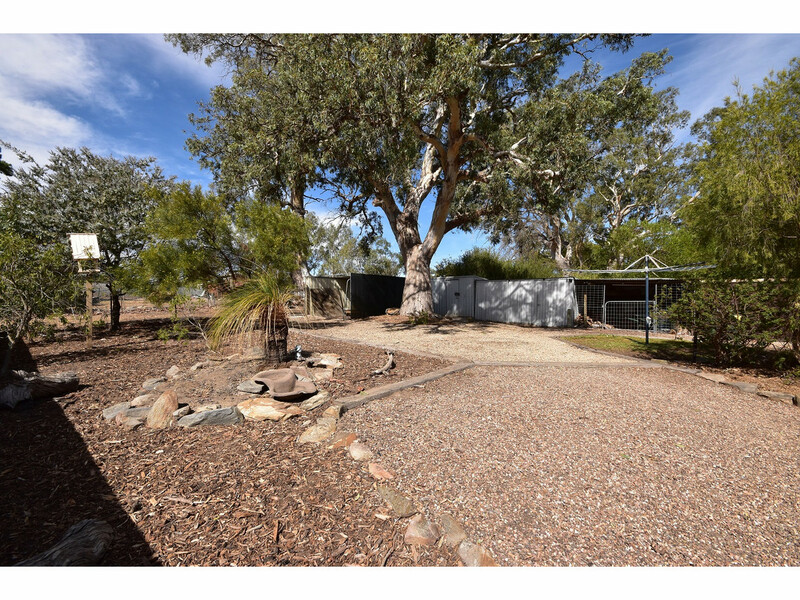 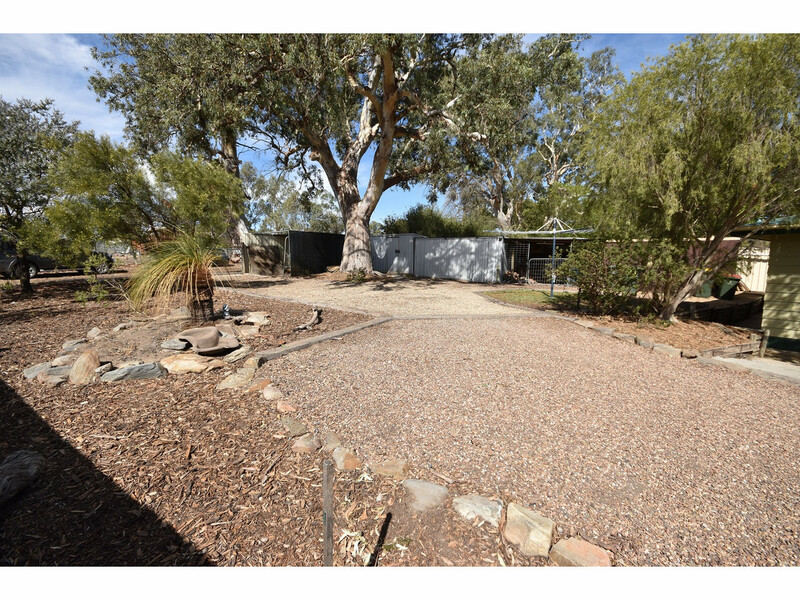 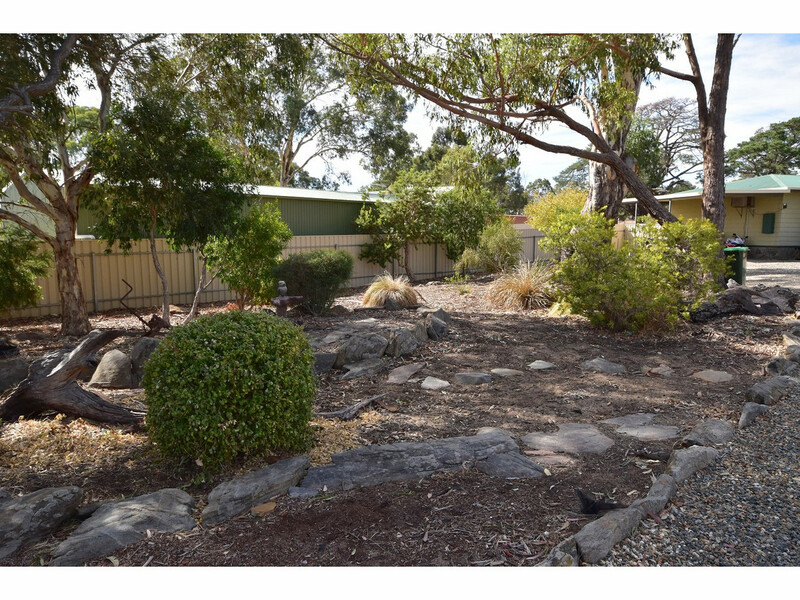 A stone lined driveway leads to the home, passing mature gum trees and a lawn area with native plants and raised garden beds around the home. 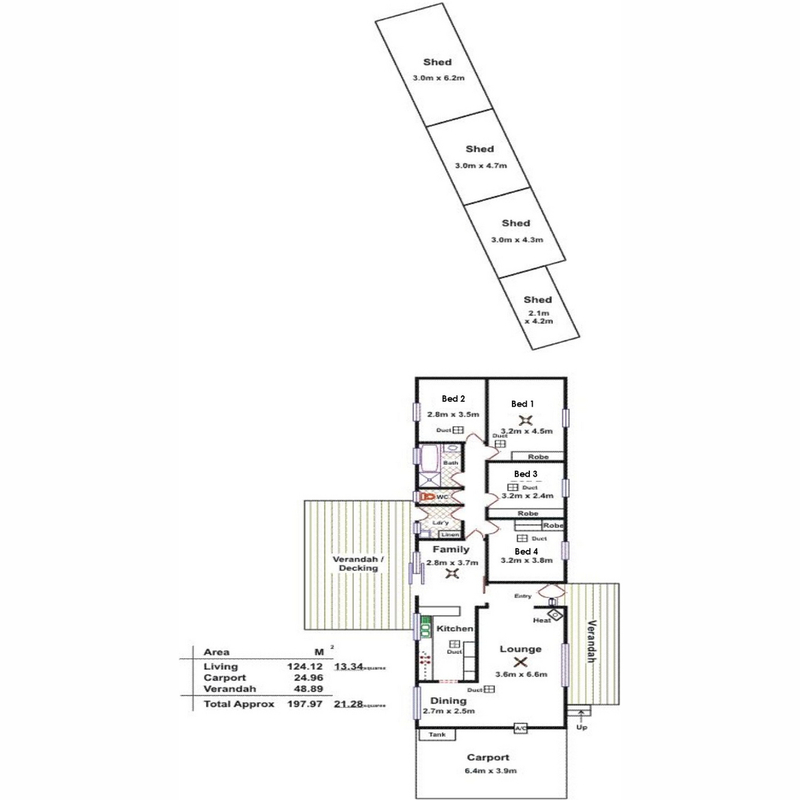 There are 3 car parks undercover and room for more parking if the need arises. 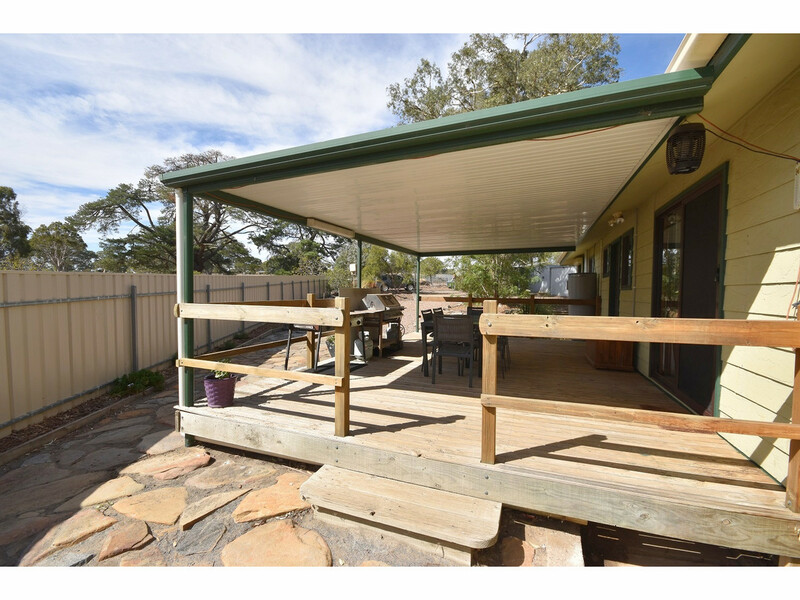 Rear access allows for easy manoeuvring to the rear yard. 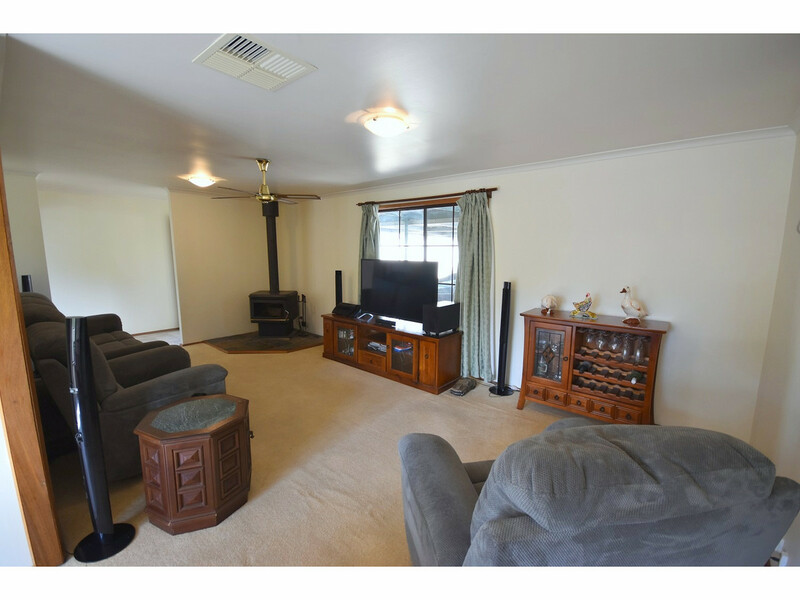 RESIDENCE: This home features four bedrooms, which are fully carpeted. 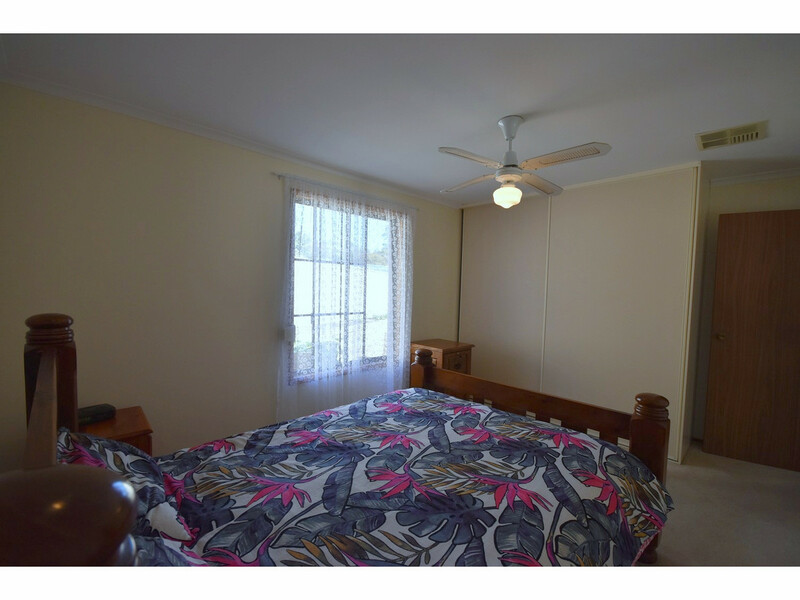 The master suite has a full length built-in robe and a ceiling fan. 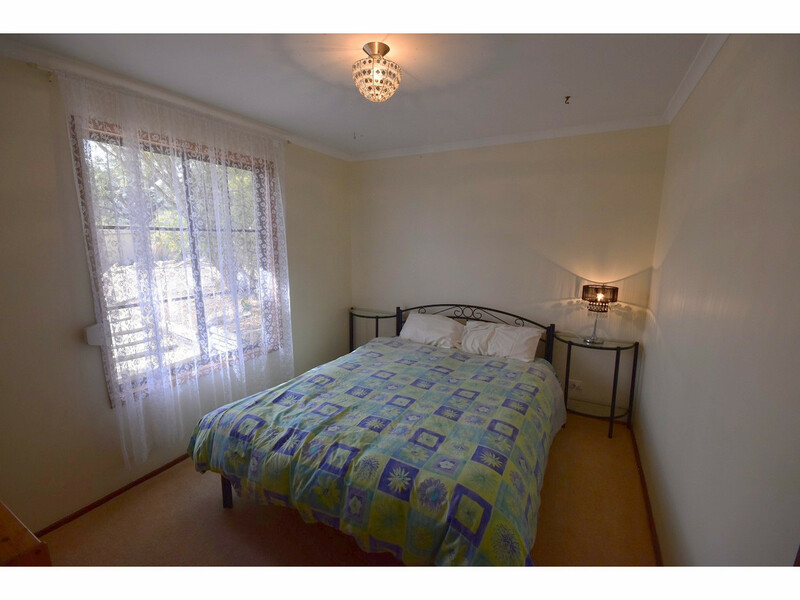 The second bedroom is of a good size. 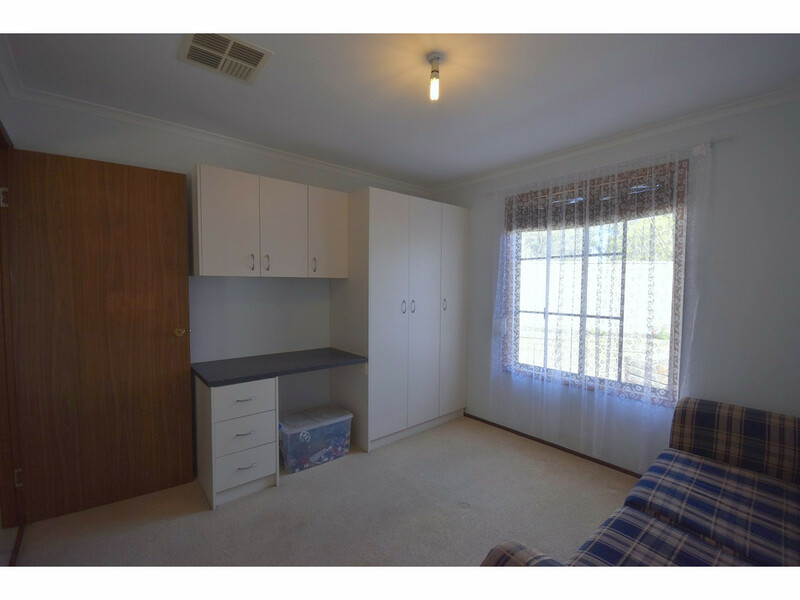 The third bedroom has built-in robes and the fourth can be used as an office. 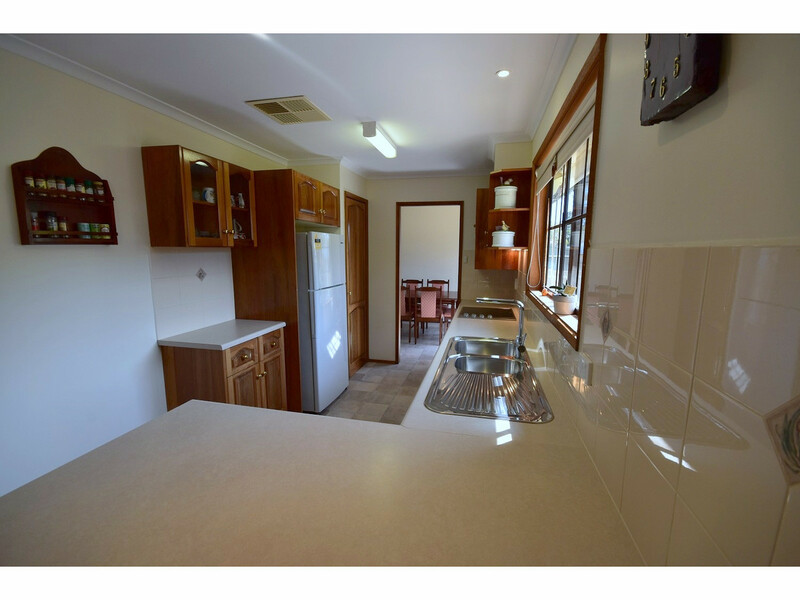 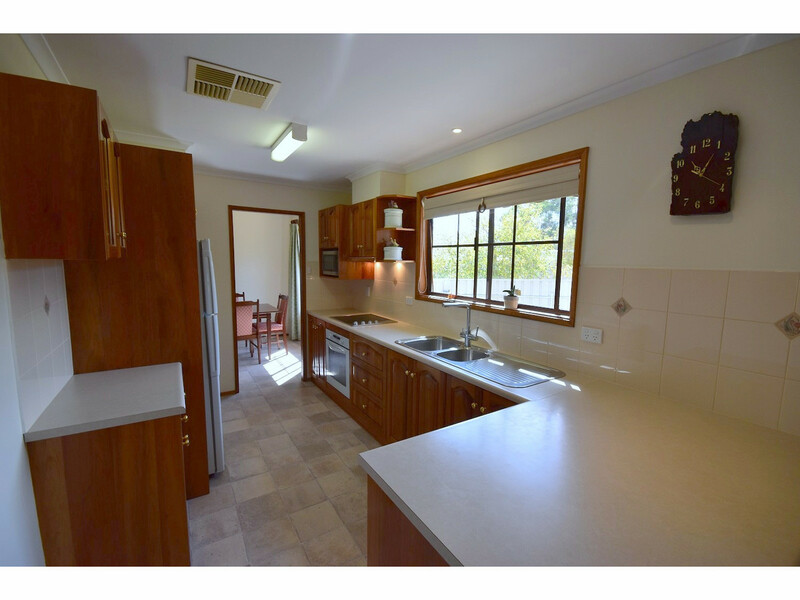 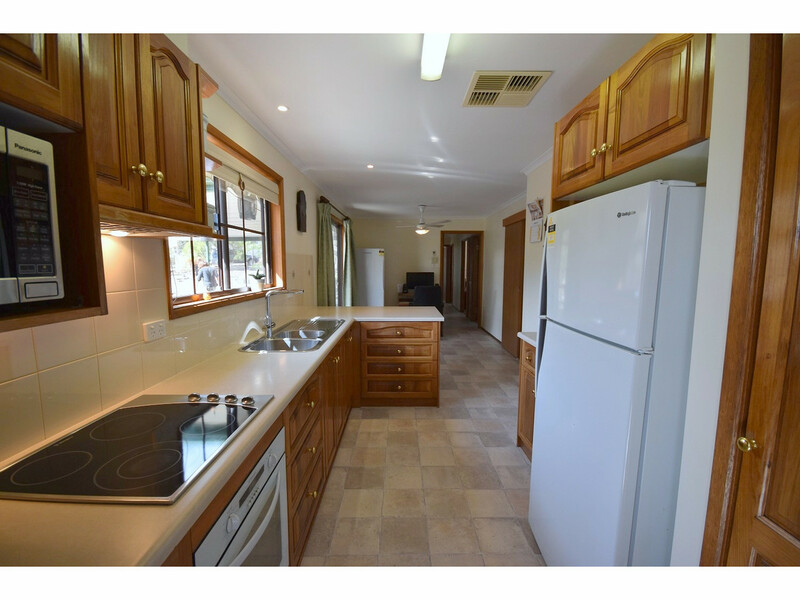 The modern kitchen features many drawers and has ample cupboard space, preparation areas and a breakfast bar. 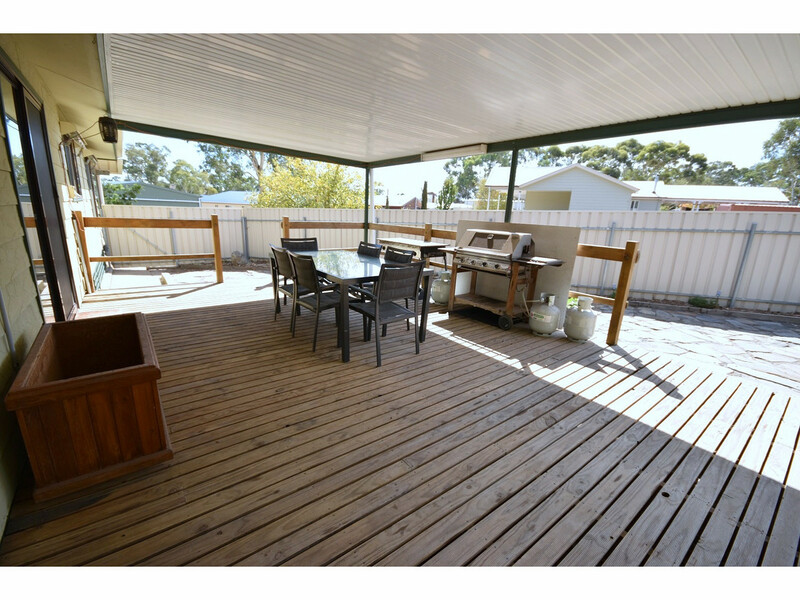 The casual meals area has a sliding door which accesses the large, rear decking. 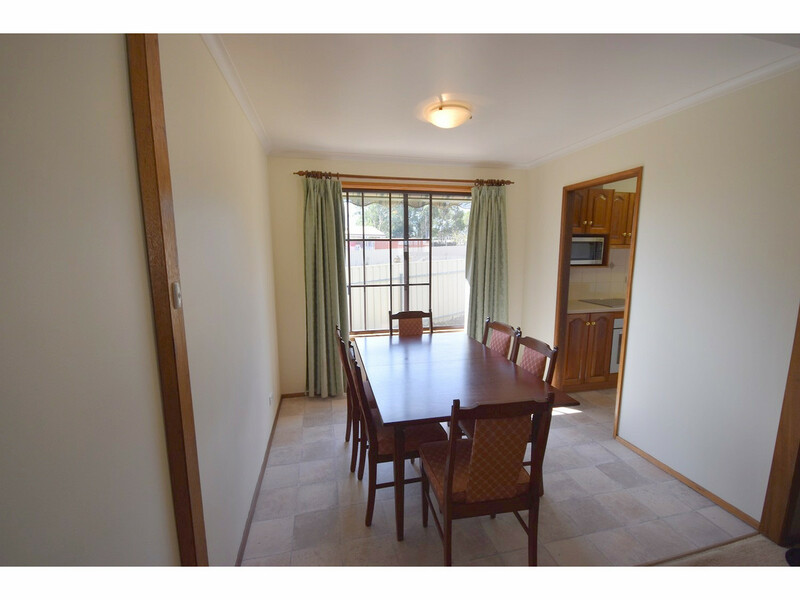 The dining room is accessed from the kitchen and both these rooms have new flooring. 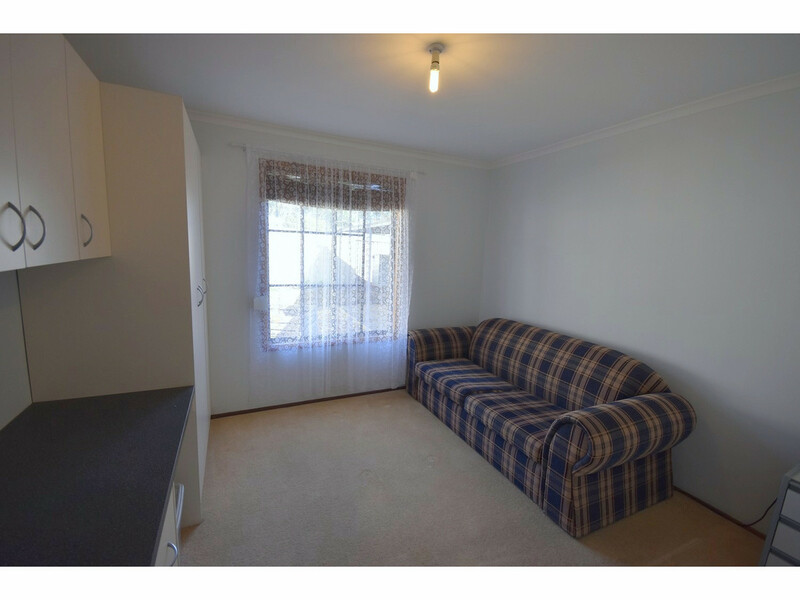 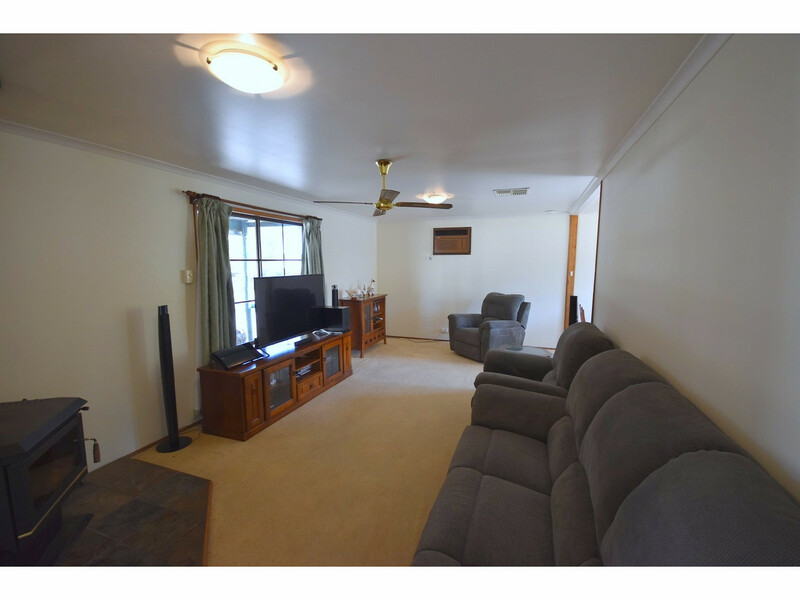 The lounge room is fully carpeted and features a slow combustion stove, ducted evaporative cooling and a large window. 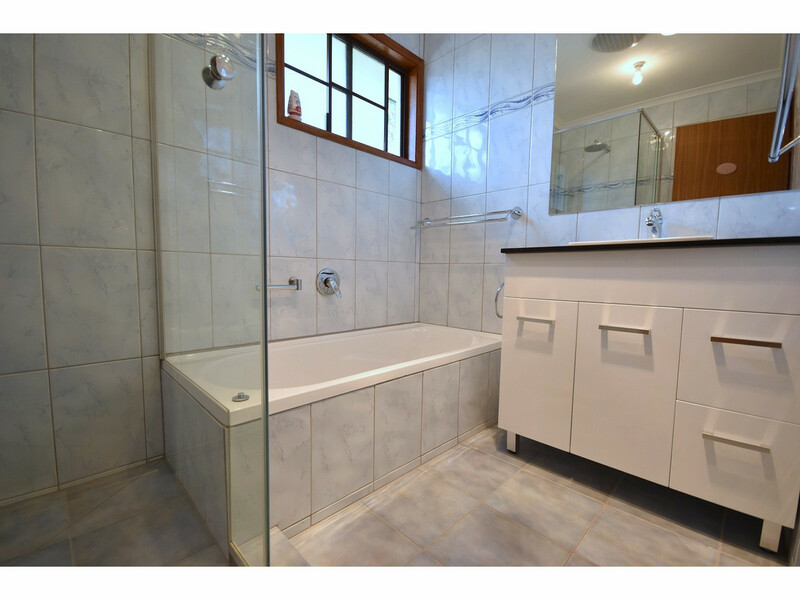 Newly renovated bathroom, laundry and toilet. 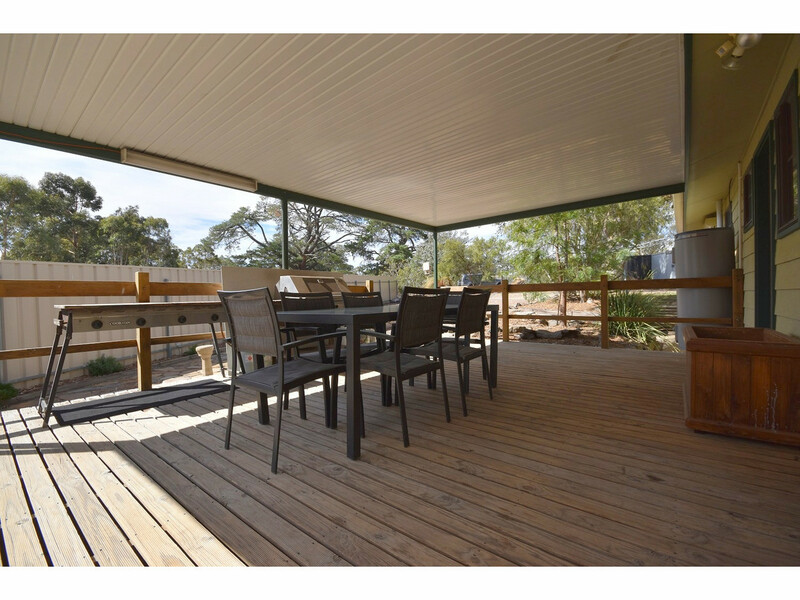 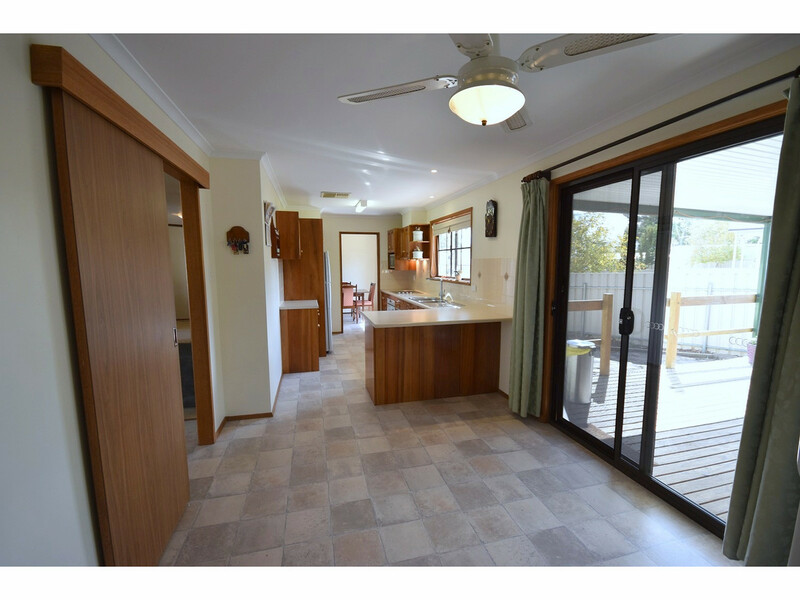 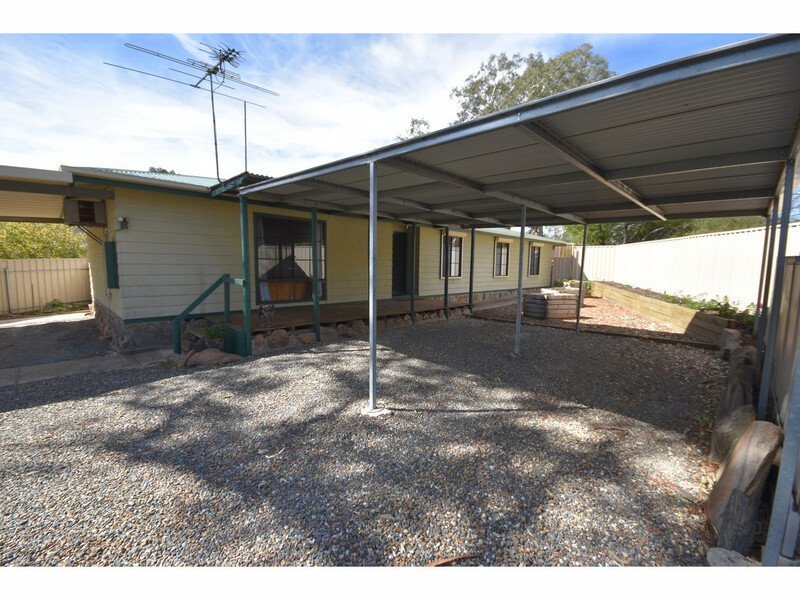 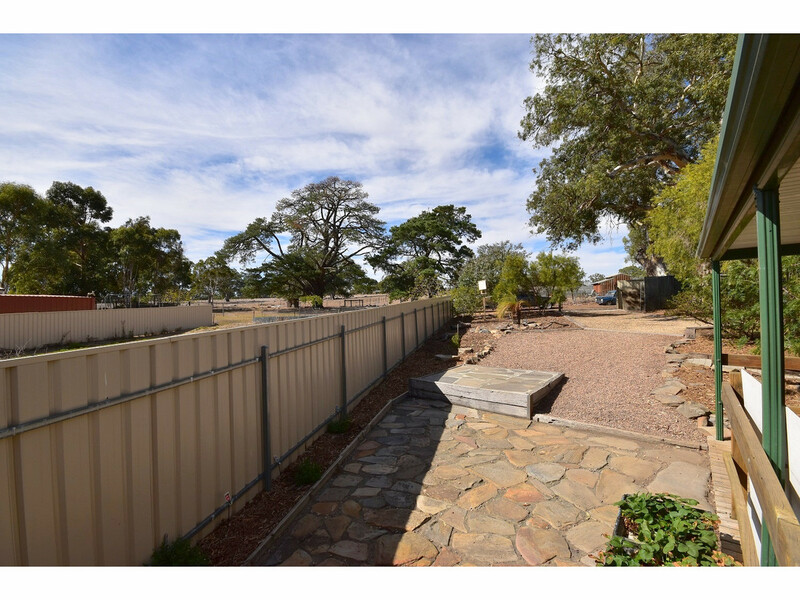 IMPROVEMENTS: The large decking area at the rear of the home is a place where your family and friends will enjoy the serenity of the country lifestyle. 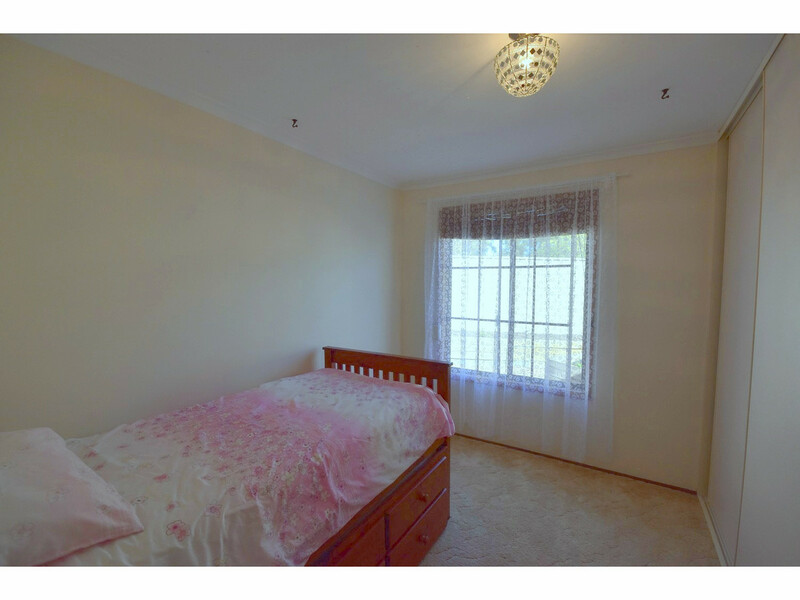 All the bedrooms have security roller shutters. 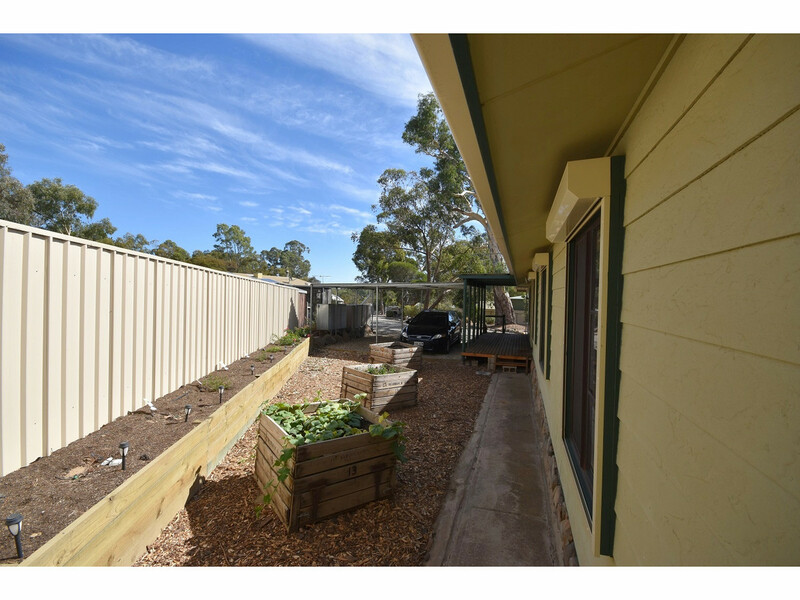 There are three garden sheds, ranging from small to large, all of which are lockable and a wood/storage area/lean-to.